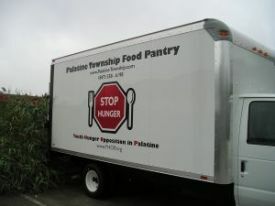 The Palatine Township Food Pantry provides assistance to anyone in need living within our Township boundaries. Many clients have traditional families that have had temporary setbacks due to unemployment or illness; single parent families where one income barely pays the rent and senior citizens and the disabled who face spiraling medical costs. The pantry has served an average of 345 families each month during the past year. Families may come to the Food Pantry every 30 days for groceries, free of charge. Dairy products and meat are available in addition to breads, canned and boxed food. 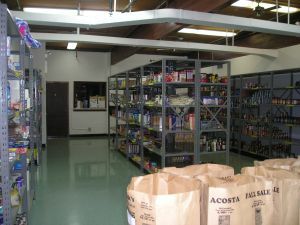 Our client choice Food Pantry offers the ability to shop for individual preferences. We rely on and appreciate all nonperishable donations. Food drives are always needed to keep our shelves stocked, but each and every individual donation adds up, enabling us to fulfill our mission. Monetary donations are also appreciated and are fully tax deductible. The name of the charitable organization is the Palatine Township Needy Family Fund. As a member of the Greater Chicago Food Depository, monetary donations are used to buy both nonperishable and fresh food in bulk at greatly reduced prices. From a Pantry family: “I would like to thank you for your kindness and generosity. I am truly grateful for your support at this difficult time in our lives. Without your help I would be unable to feed my family…” Thank you for your donation and making a difference in our community.